So there's a new version of "The Odd Couple" premiering soon on CBS. It stars Matthew Perry and Thomas Lennon. Yes, it stars Chandler Bing and that guy who's been in a million things. I don't know if I'll watch this. I LOVE Matthew Perry. Can I say that again? I LOVE Matthew Perry. And I've seen Thomas Lennon in things. Yeah. But I can't stop seeing Jack Klugman when I think of Oscar Madison. And I can't stop remembering that Tony "Felix Unger" Randall passed away while I was vacationing in a Mexican resort. 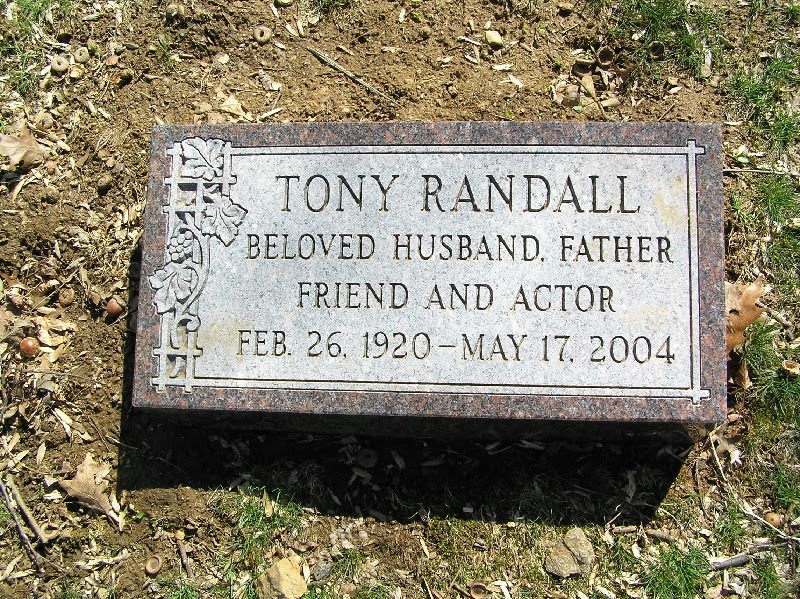 argue with Tony Randall's grave. There's been a Broadway Odd Couple, a TV Odd Couple, a black Odd Couple, a female Odd Couple, and now another Two White Guys Odd Couple. Is anyone going to join me? Matthau and Lemmon. That's the Odd Couple of choice for me. When I was a HS Senior, I was the stage manager for the female Odd Couple that our drama club put on. I should have been Oscar, or whatever we called her Olive? Whatever. I debate the hell out of how it got cast, but that is some really old baggage. I'll pass, I think - but I do love Thomas Lennon. I'll watch at least the first episode because I like both of them. Doesn't really seem like something I'd continue to watch though. We will wait a few weeks and power through a few episodes... I hope for for the best. I'd watched Matthau and what's his name as Felix, Lemmon? Didn't know there were any other Odd Couples. I'll probably watch it at least once, to give it a chance. Most sitcoms these days are sort of annoying, though!